I know it from the Lebanon Municipal Airport on the hill, which quietly services the local businesses (including the Dartmouth-Hitchcock Medical Center) at a profit to keep the town solvent. Dartmouth College in nearby Hanover also benefits from fast business transportation to Boston and White Plains, New York. Still, what else is so special about Lebanon, New Hampshire? Other than its summer that lasts all but three weeks and snow storms that frequently exceed two feet? Nestled within the city limits is Adimab, a company that was founded in 2007. Adimab, among other things, performs research for antibody signatures and finds solutions to epidemic virus outbreaks. As of this week, Adimab has published how it sampled blood from a survivor of the Ebola outbreak and isolated the signature that will be used for effective treatment of future Ebola events (Bornholdt, Z.A. et al., 2016). Maybe an Ebola vaccine. And, maybe a Zika vaccine, too. The Science article reports the research team found a specific antibody signature that Ebola virus was susceptible (Bornholdt, Z.A. et al., 2016). They based this theory on their observation that the Zmapp antibodies regimen was only effective 40-percent of the time. The Zmapp protocol was the mainstay of successful therapy for the Ebola-2014 outbreak (Jones, et al., 2005; Roddy, 2014; Marzi, et al., 2015). 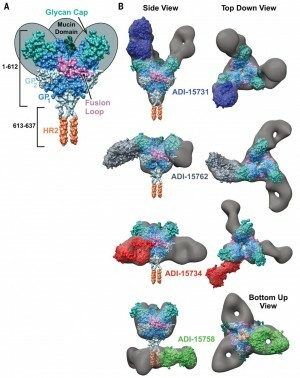 To their surprise, they discovered the effective Adimab-discovered antibodies included 77-percent of the 349 antibodies of interest. The range of virus susceptibility was much larger than anticipated. Then, the Adimab-discovered antibodies were tested on mice, which achieved 100-percent success neutralizing live Ebola virus. Such a potent response was unlike the weaker, 40-percent success rate seen with the Zmapp regimen. The researchers of Adimab are credited with making their research findings public on the Internet without protecting their data for proprietary gain. Adamab anticipates the data will not only help produce a vaccine and more refined therapeutic options for Ebola, but also provide a knowledge base to speed research on the Zika virus. In the interim, individual immune system resilience against new virus events remains the primary defense. Immune system enhancing options, such as Transfer Factor supplementation has been suggested by some, but is it valid? Transfer Factor is the active ingredient in mammalian mother’s colostrum and is more recently available in a questionable formulation that is patented and proprietary (What are transfer factors? 2016). Jones, S. M., Feldmann, H., Ströher, U., Geisbert, J. B., Fernando, L., Grolla, A., … & Daddario, K. M. (2005). Live attenuated recombinant vaccine protects nonhuman primates against Ebola and Marburg viruses. Nature medicine, 11(7), 786-790. Zika Virus HOAX – Why Larviciding in the Water Supply is a Good Thing! Zika Virus UpDate – Another bright side to the story? Zika Virus Fears – Is there a bright side to the story?